In my opinion if you aren’t laying on the ground taking pics you are probably doing it wrong. Hit the link to see a slide show of images from this months installment. 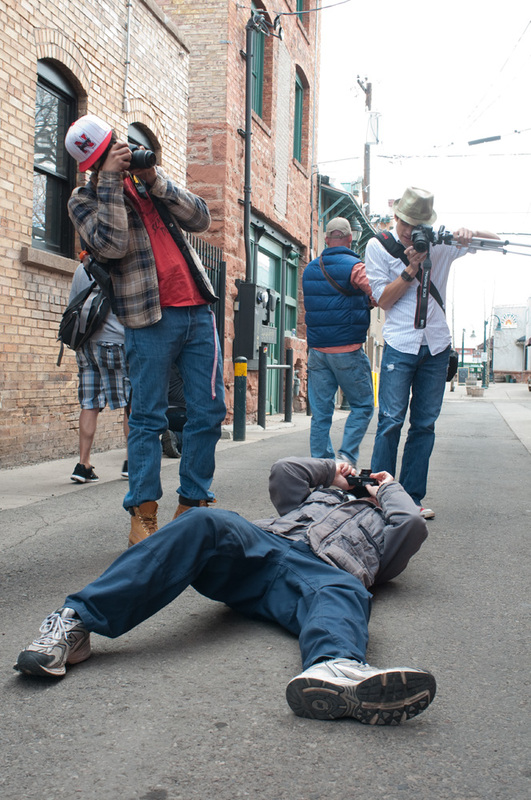 This entry was posted in blog, photography and tagged adventures, arizona, behind the scenes, daily affirmations, flagstaff, flickr, gold reflector, installment note, live photo, personal shots, photography, pic of the day, street portrait, street portraits, visual collective. Bookmark the permalink. I like your last two compositions from the Photowalk. Did you try the “customize this HTML” option before you pasted it to WordPress?